I done this Debaufre Nav B Photo Review sometime ago and it was posted at Watchuseek Debaufre forum on 6 February 2008 too. I am posting the full review here too. 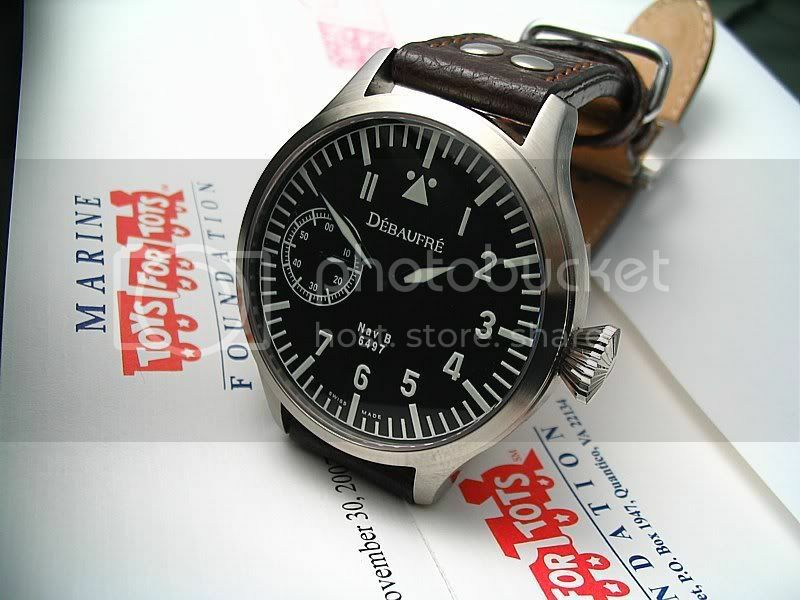 In November 2007, Debaufre and PMWF.com collaborated to rise funds for Marine Toys For Tots Foundation and Debaufre would be donating any production watch to PMWF.com's raffle winner. Read about it here. 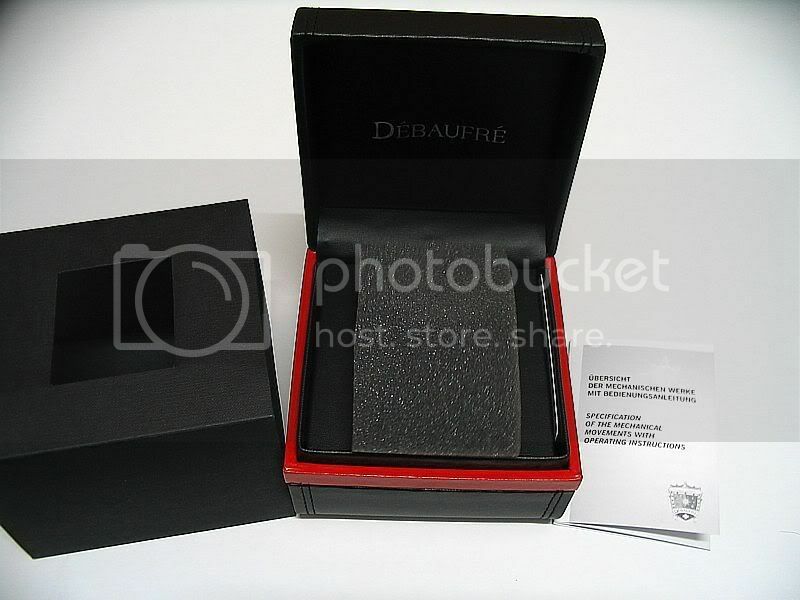 Anyway I was fortunate to have won the raffle and I chose the Debaufre Nav B watch for my prize. 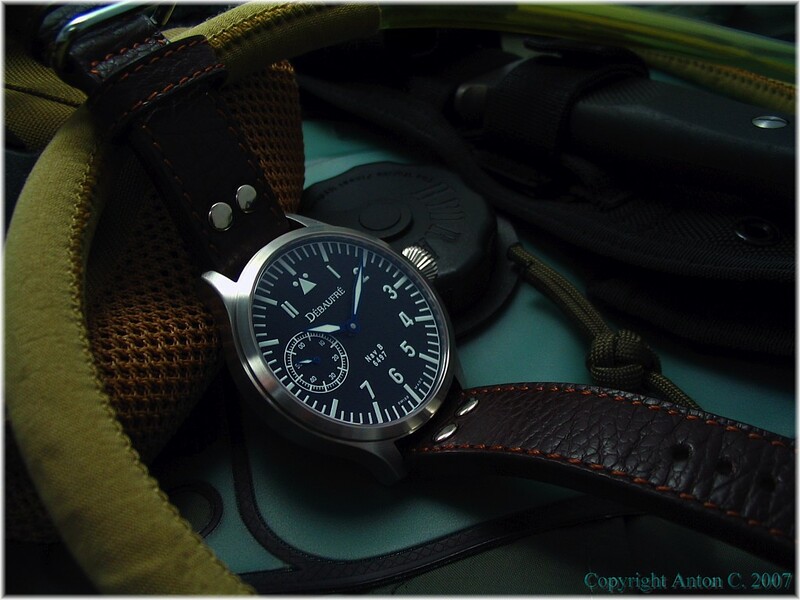 I am very drawn to the Nav B but I was skeptical about it fitting my wrist since my wrist size is only about 6.5" to 6.75" (more on that later) and the Nav B is a big watch at 48mm (excluding crown). 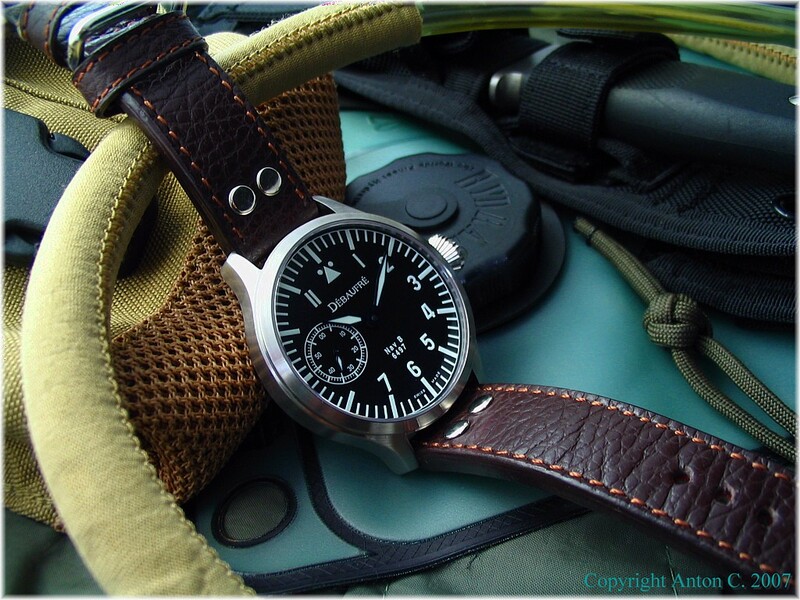 I was torn between it and the Triton, especially since I am a fan of pilot watches and already had quite a few pilot watches, I was actually lacking watches in the diver department. I eventually decided to give it a try anyway, and at the same time I also read about Captain Dale 'Snort' Snortglass receiving the Nav B too, so I guess that was a little push to get me off the fence. 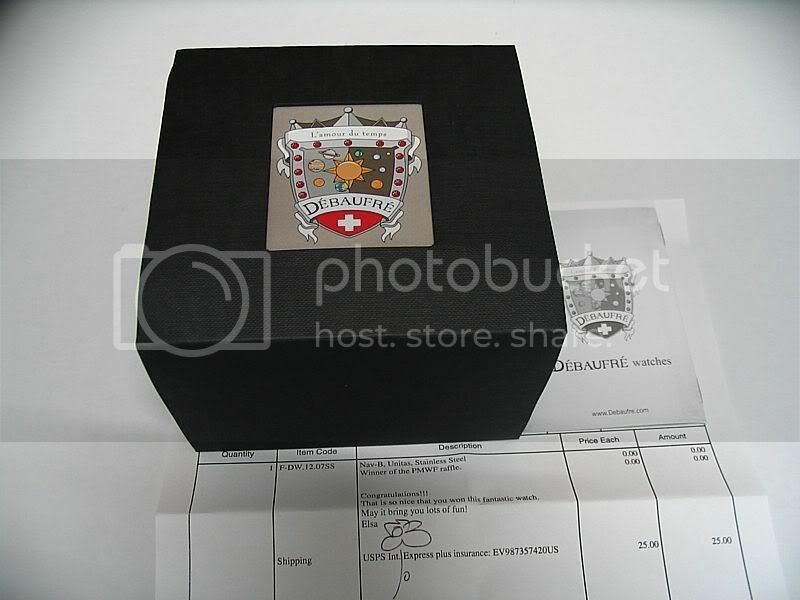 I was then contacted by Debaufre and arrangements were made to have the watch shipped to me. At this point I must say I really appreciate the good customer service from Debaufre. First they were very flexible in the shipping method, and then when the package was seized by my local customs for tax valuation, Debaufre extended their full assistance in providing the necessary documents for customs to release the watch, even when its on a Sunday, (its Monday over here for me). 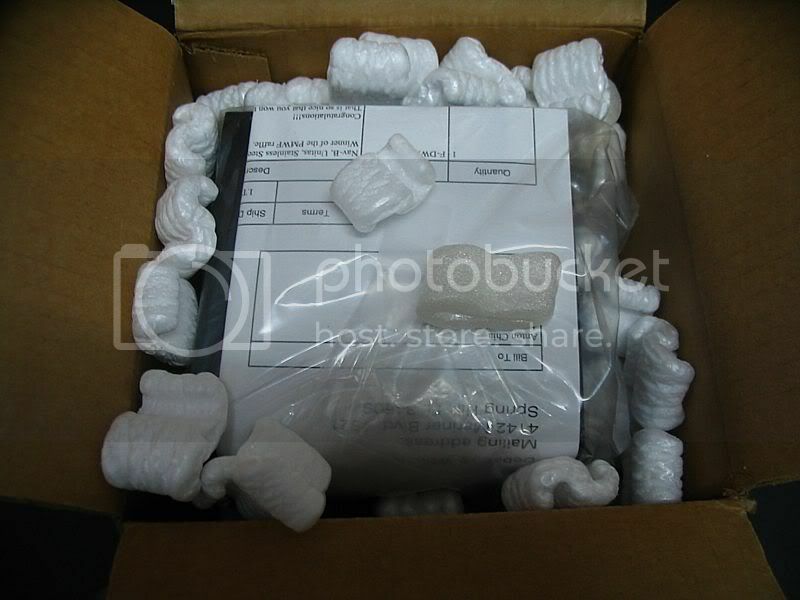 Thus I was able to receive it in time on Christmas Eve. Thank you, Jon and Elsa. 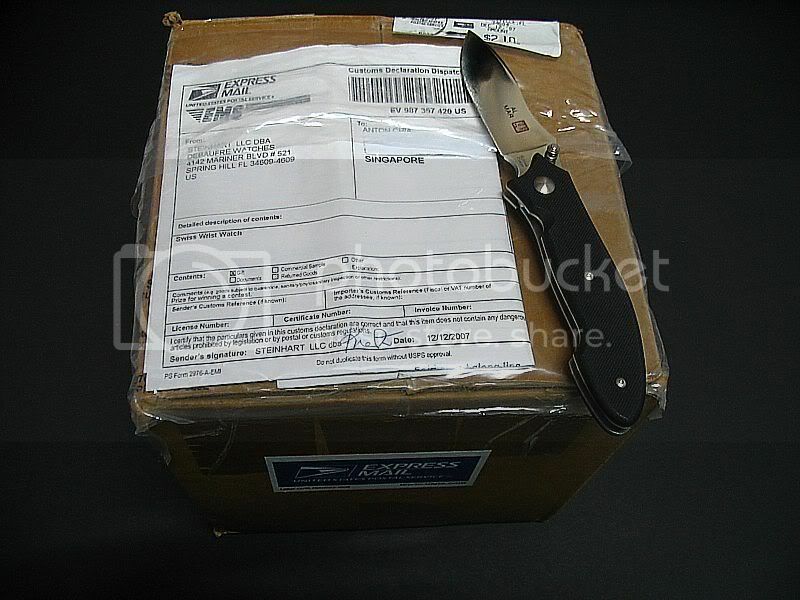 When I got home from the Customs office I eagerly opened the package. The box and an invoice with greetings from Elsa, noticed she drew a flower there, how nice. I like the outer sleeve box, which has a cut out window that shows the emblem on the actual box. There is a piece of foam on the watch, I took a deep breath and blew it away. 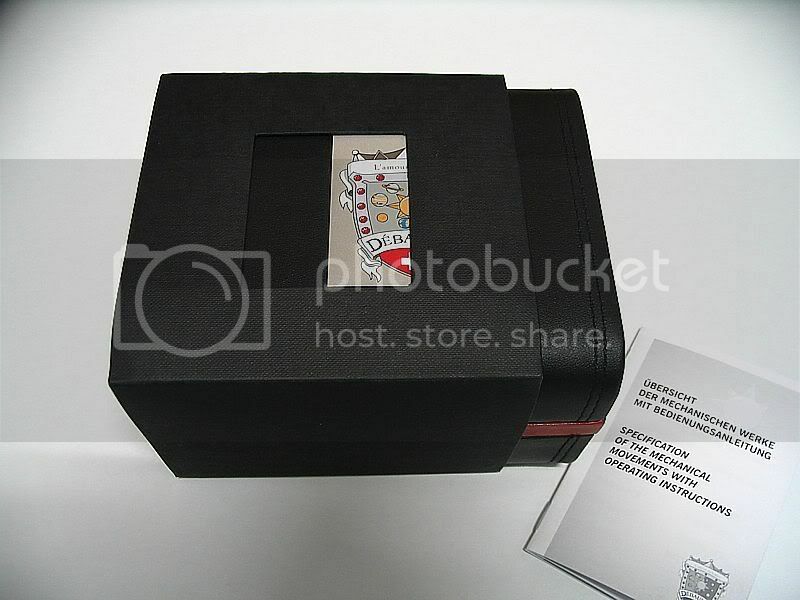 A simple manual, warranty card, and paper tag. * Diameter 48 mm, including crown 53 mm, 13.8mm thick. 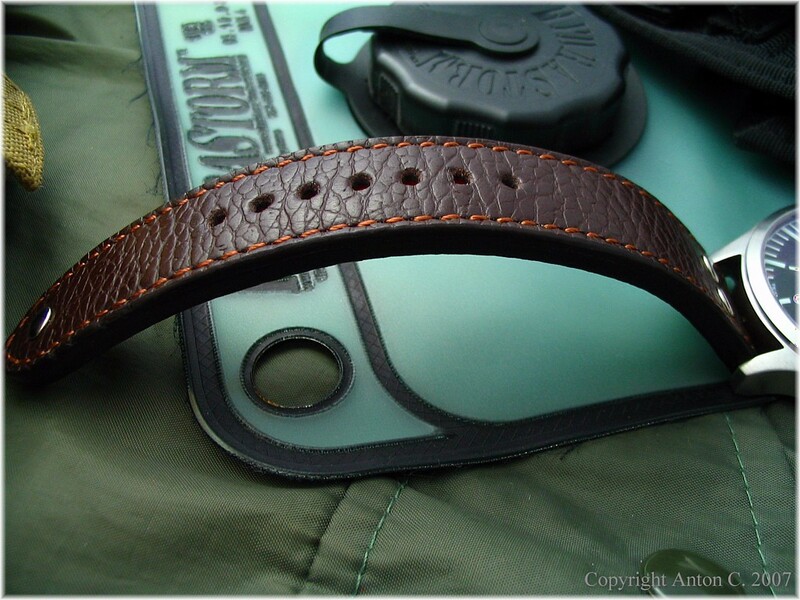 * Leatherstrap 22 mm with thorn buckle with screws. I have owned the watch for more than a month and its time to do a review about it. The sapphire crystal is domed and the inner side is AR coated. One of the first thing I noticed when I got this watch is the blue sheen on the crystal. The hour, minute and second hands size ratio is good in relation to each other. The hands are blued too, which is a nice touch and it is very attractive in the daylight. Personally I like the minute and second hands to touch the track markings and its great that the Nav B does so. 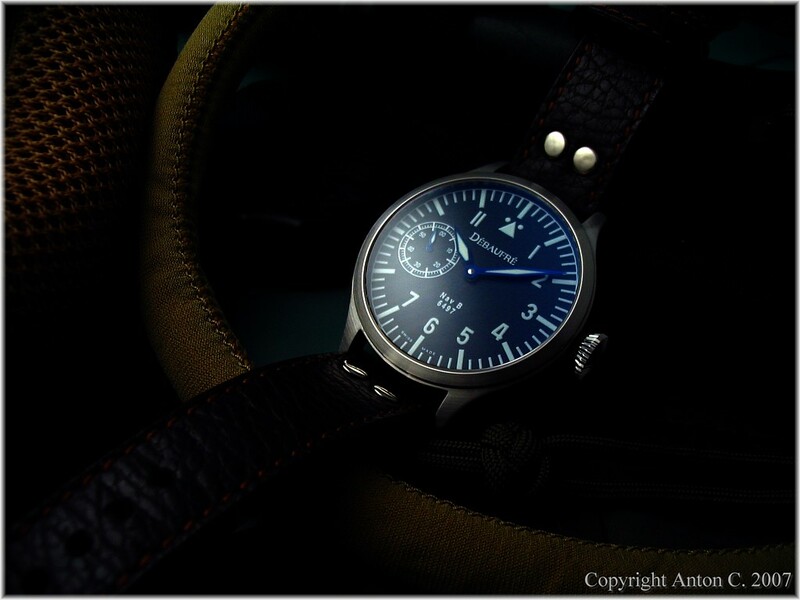 Overall, the watch is designed for legibility and indeed legibility is superb. However due to the blued area of the hands, the lume doesn't extend all the way to the tip of the hand. 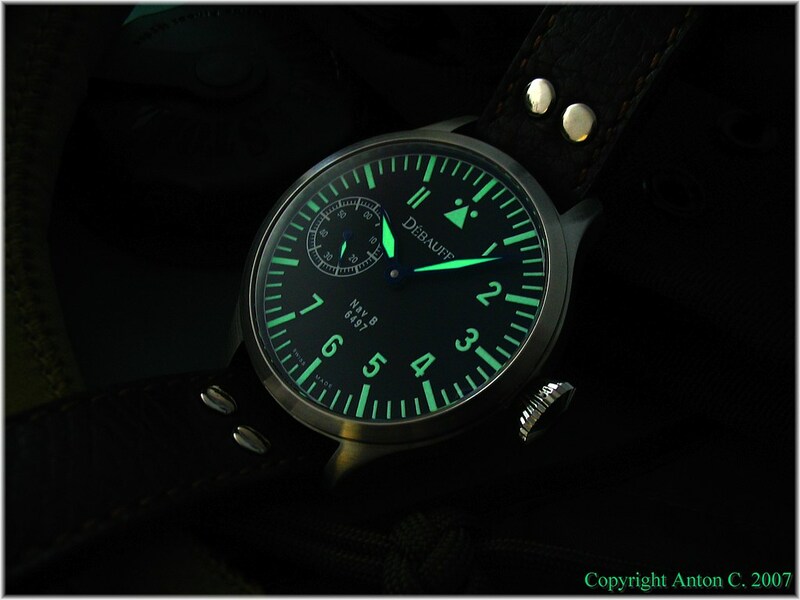 So when the watch is read in dark condition, the hands appeared shortened, see lume pic below. Here's the lume shot. I like to wear it to the movies because the lume is good and the dial is big. Nice big crown that is very easy to wind. The diamond shape works really well and provides a much better grip as compared to flat or even onion shaped crowns. 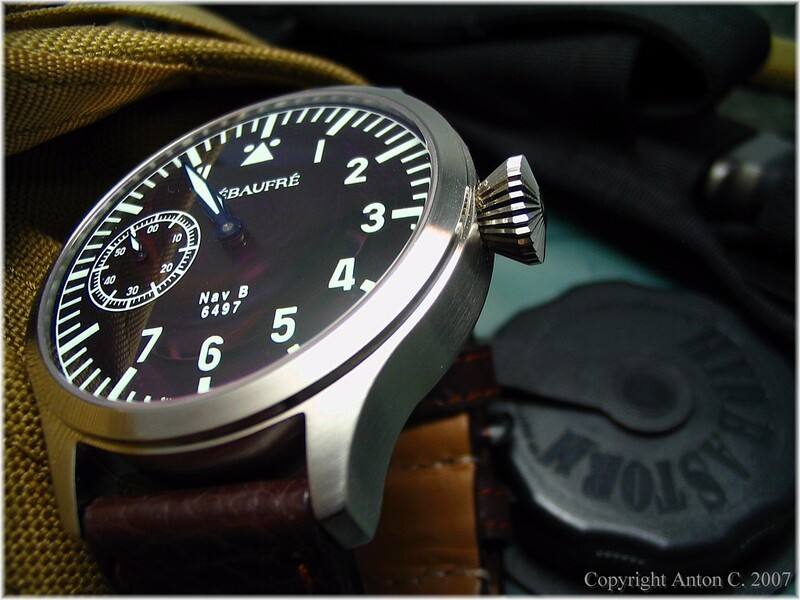 This is one plus factor that I really like about this watch, especially since it has a hand winding movement. See the thick domed sapphire crystal and the finishing of the case. 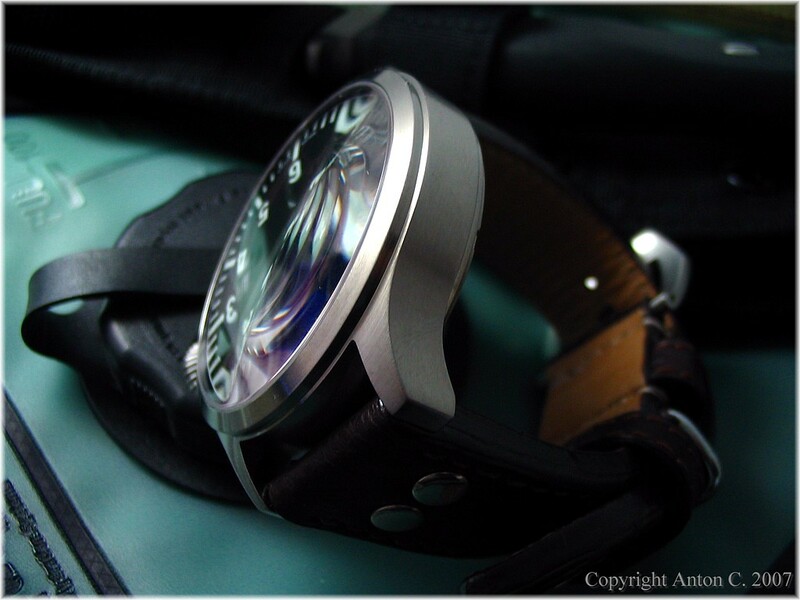 One thing you can't miss is the heave of this watch, its heavy, the case looks tough and its nicely finished. 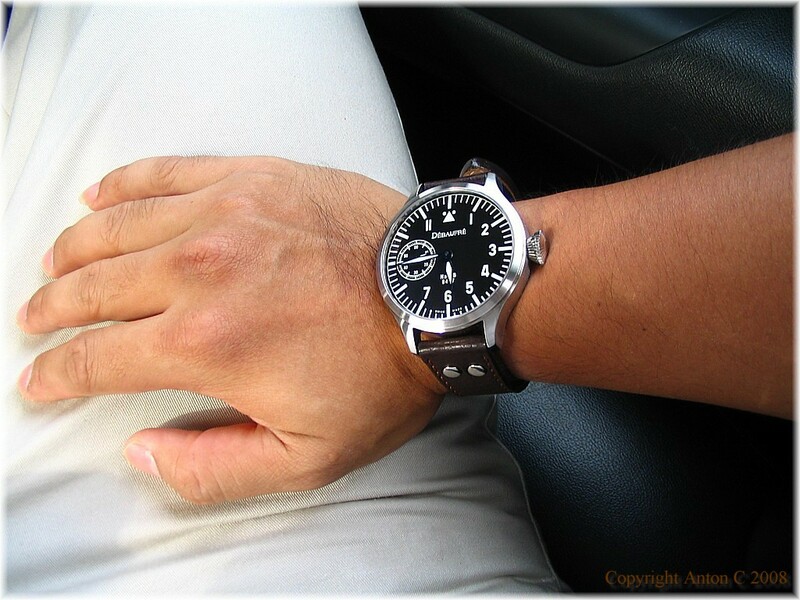 The lugs curve and slope gently to fit the wrist. What we have here is a Swiss Unitas 6497 movement, decorated with blued screws and "Cote de Geneve". The finishing is very attractive and pleasing to the eye. I think its rhodium coated. Due to the size of the watch, the whole movement can be seen underneath the glass display case back. Power reserve is about 48 hours and accuracy out of the box is about + 30 sec a day, but I must say I checked the accuracy during the first few days of getting the watch. I have not check again to see if accuracy had improved with use yet. 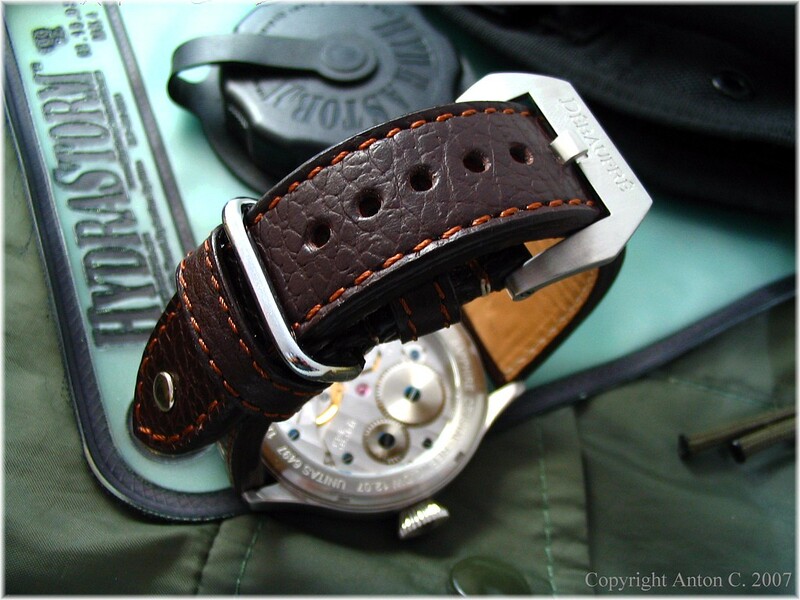 The Pam Pre-V styled buckle, nicely finished, uses screws too. The leather strap is 5mm thick throughout and doesn't tapers, which is good. The quality is top rate, feels like leather from an expensive luxury handbag. The texture is attractive, feels firm and smells nice. 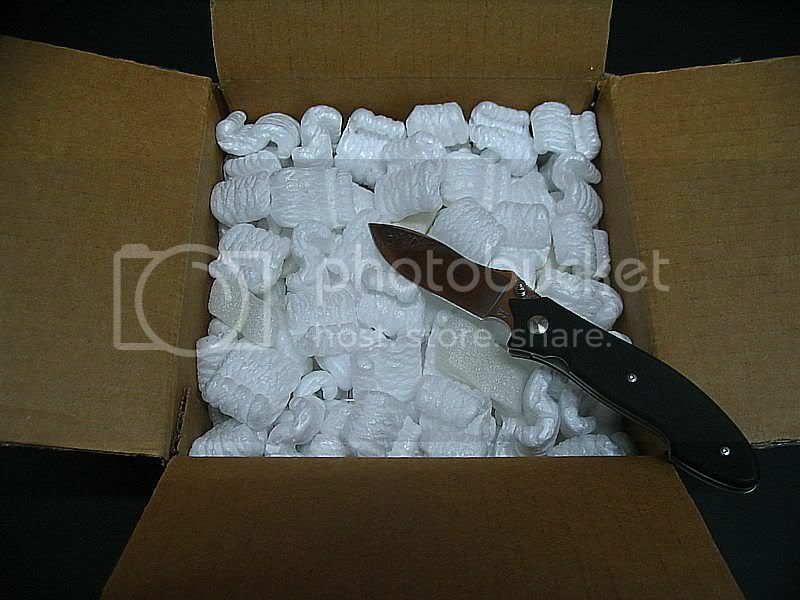 It is a little stiff initially but breaks in easily within a few days. And once its broken in, its flexible and comfortable. It is obvious that this strap is going to last a long time. This is the best stock strap I had owed thus far. 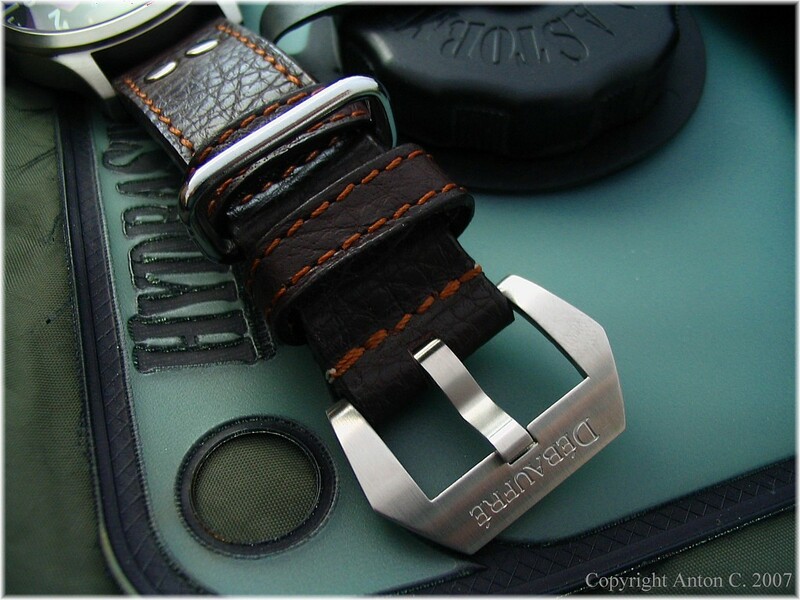 There is this metal keeper sewn into the strap, I think its great because I find it hard to insert the strap into the fixed leather keeper and most of the time I will just use the metal keeper and the movable leather keeper. It is secure enough and I think it could act as a substitute for either one of the leather keepers when they eventually breaks. The rivets and the metal keeper are mirror finished, I wish they are not, which will be more consistent with the rest of the watch's metal parts. The 48mm watch on my current 6.5" wrist. Not too bad I guess, but I gotta wear it on my right wrist so that the big crown won't dig into the back of my hand. 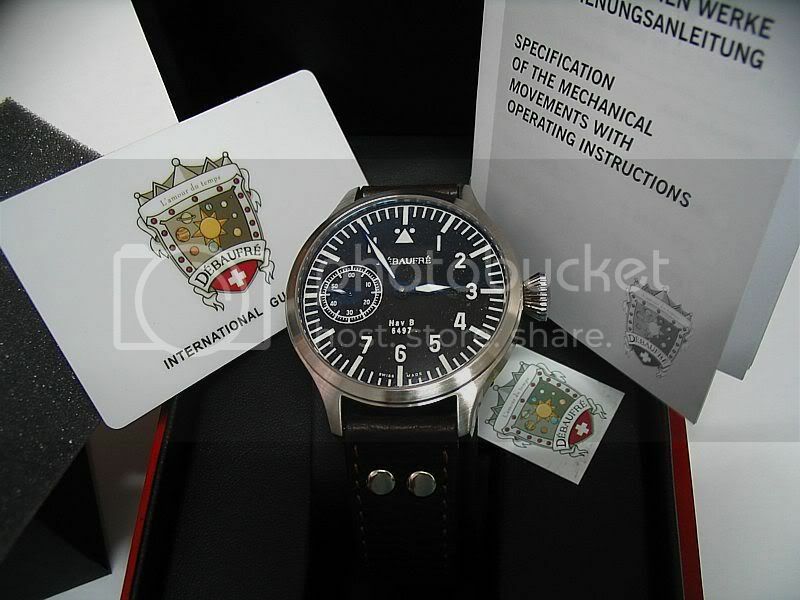 All in all, a really wonderful watch that is well designed and made. 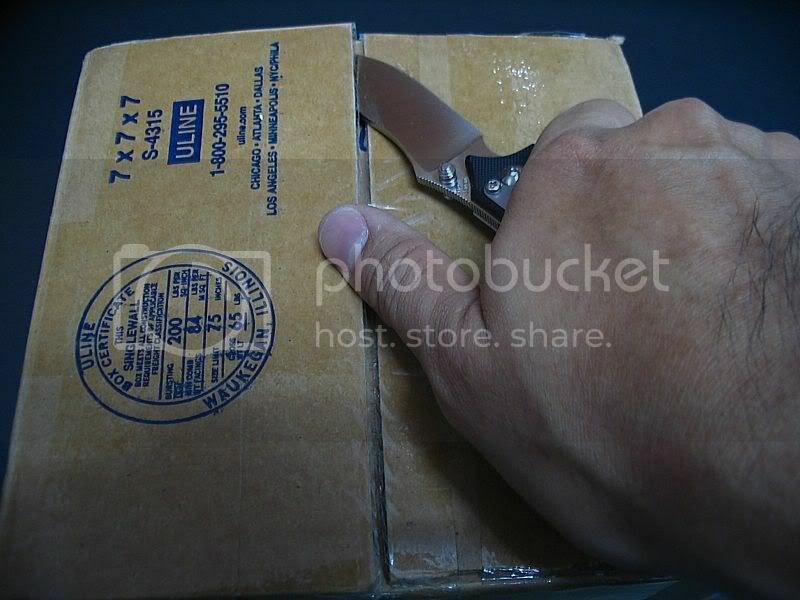 By the way this last photo above was a PMWF.com photo election winner too. Pic really is well taken. 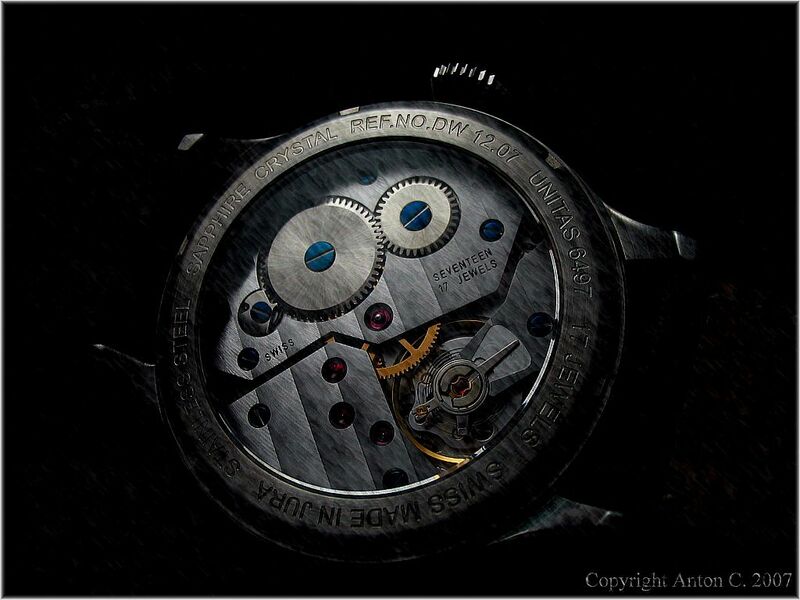 Nice illustration of the watch mechanism. Maybe I should start to pick up a bit on photography.